With the advance of technology, websites are capable of so much more than they used to be. People searching online now expect to see dynamic content whenever they visit a new site and often click away immediately if all they come across is words and the odd still photograph. Video on the other hand always has the power to stop people in their tracks. Get Found offer a sensibly priced video production service to help satisfy this new content-hungry breed of web consumer. With plenty of experience in producing highly engaging video content, you won’t be disappointed with the final result. To enhance your online presence and maximise the time viewers spend in front of your virtual shop window, let us help you to integrate video production into your internet marketing strategy. That way we can circulate your videos to the right audience at the right time and monitor their effect on your audience engagement. Video is not just about vanity or providing entertainment for the sake of it. Providing it follows all the usual guidance about relevancy and on-site markup, videos provide rich user content that is rewarded well by the search engines. Since the free video hosting and sharing giant YouTube is owned by Google, it often makes sense to upload videos directly to YouTube and then embed them in your own website. To do this you will need to set up your own free YouTube channel but Get Found can help you with all aspects of this process. There are other video sites that you might also want us to look at for you – or you could retain complete control over content delivery and branding by hosting your video on your own site. Get Found can provide video production alone or can include it as part of a wider search marketing strategy. If video is something which is likely to be central to your online marketing, YouTube is a great platform for that purpose. It is free and easy to set up a YouTube channel for business and then you are free to upload MP4 files to share with your subscribers (whether Get Found have produced them or not). YouTube also offers advertising opportunities which can be more efficient in certain industries than other forms of paid online advertising. There are various options for advertising on YouTube including clickable links and auto-play videos where you only pay when the content is viewed to the end. Even if video is only a small part of your marketing plan you can still make use of social media to spread the word further. Videos can, of course, now be easily posted and shared on Facebook and Twitter, potentially going viral. Live videos are another new feature on YouTube and Facebook. Again, Get Found can provide video production as a standalone service or can include it as part of a bespoke social media management service. All smartphones are now able to handle rich multimedia content and the big social media networks have optimised their mobile apps to make video consumption and circulation as simple as tapping the screen. If you instruct us, we can use our own video production capabilities to produce engaging videos and then make sure they are widely circulated via a sound mobile marketing strategy customised for your business or organisation. 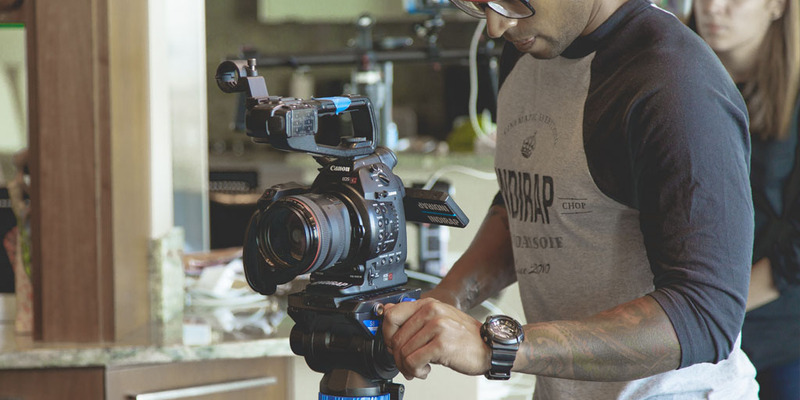 If you are looking for a stunning way to help expand your brand or a professional showcase for your products, video production is the way to go. For more information about the Get Found video production service, including a free quote, call our friendly team today.